BISMARCK, N.D. — North Dakota, the nation’s No. 2 oil producer behind Texas, recorded nearly 300 oil pipeline spills in less than two years, state documents show. None was reported to the public, officials said. According to records obtained by The Associated Press, the pipeline spills – many of them small – are among some 750 “oil field incidents” that have occurred since January 2012 without public notification. Dennis Fewless, director of water quality for the state Health Department, said regulators are reviewing the state’s policies for when to publicly report such incidents after a massive spill was discovered last month in northwestern North Dakota by a wheat farmer. State and company officials kept it quiet for 11 days – and only said something after the AP asked about it. Soon after the AP published its report Friday, the Health Department announced it is testing a website to publish information on all spills reported to the department. “We’re certainly looking at that now and what would be a threshold for reporting to the public,” Fewless said. Taking notice of the recent criticism, the state issued a statement Oct. 17 on an estimated seven-barrel oil spill in Divide County, which borders Canada. Dave Glatt, chief of the department’s environmental health section, said the website announced late Friday would likely go live in two to three weeks. He said officials are still considering how large a spill should trigger a public announcement in addition to being published on the website. A spill-tracking system would be valuable for the public, said Louis Kuster, who raises wheat near Stanley in northwest North Dakota. Farmers and ranchers rely on land for their livelihood, so information on spills that could threaten land or water supplies “absolutely is important for us to know,” he said. Between coffee-shop talk and chatting with neighbors, nothing much happens around the fourth-generation farmer’s land without him knowing about it – except when it comes to oil spills. 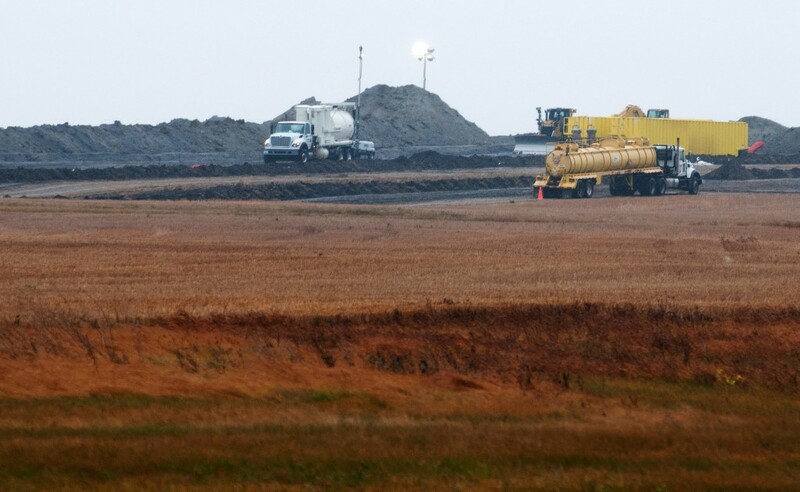 North Dakota officials have urged pipeline industry to officials to quickly – and safely – expand the network to keep pace with record production in the oil patch. The state has about 17,500 miles of pipelines. For almost two weeks, no one knew about a break in a Tesoro Corp. pipeline that was discovered Sept. 29 in a remote area near Tioga. Officials say no water was contaminated or wildlife hurt, but the spill was one of the largest in state history, estimated at 20,600 barrels.